The hit British drama will return to 'Masterpiece Classic' January 5. 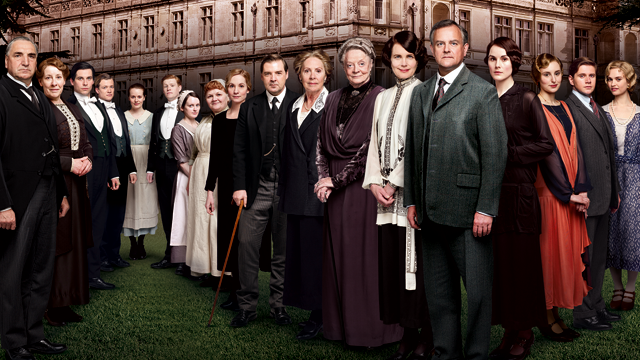 The cast of the fourth season of 'Downton Abbey' on 'Masterpiece'. The hugely popular British drama Downton Abbey will return for a fourth season on Masterpiece Classic starting Sunday, January 5 on Q-TV. "We're thrilled to tell our millions of Downton fans that they can look forward to a fourth season of their favorite show," says Masterpiece executive producer Rebecca Eaton. Gareth Neame, executive producer of Downton Abbey and managing director of Carnival Films, the show's makers, said, "Well-loved characters both above and below stairs will return along with the arrival of some new faces. Viewers can look forward to more drama, comedy, love, hatred, jealousy, rivalry, ambition, despair and romance." One of the well-loved characters confirmed to be returning is Martha Levinson, played by Hollywood star Shirley McLaine. She proved a huge hit with viewers last year when she joined the cast for Lady Mary's wedding to Matthew Crawley. Her sparky relationship with Violet delighted audiences around the world. Tom Cullen as Lord Gillingham, an old family friend of the Crawleys who visits the family as a guest for a house part.